The most topical technology question facing the wind power industry is how much bigger will turbines become. Generally, bigger power rating tends to be accompanied by larger rotors, which in turn calls for stronger gears and bearings, larger foundations and so on. This report addresses these questions and more, going through the technological challenges facing the industry and giving an insightful perspective on the most likely ways forward. There continues to be a tension between the established industry model of developing turbines gradually, based on the evolutionary upscaling of existing products, and a desire for disruptive, revolutionary developments based on concept changes. 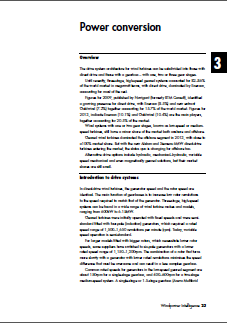 This will be explored in some detail, including in our Appendix, which samples the views of wind technology professionals at leading companies across the supply chain. 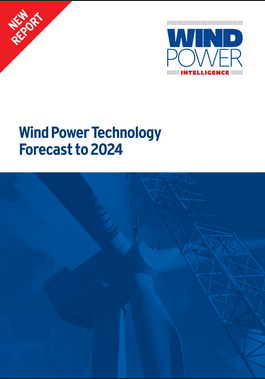 This report is based on the Windpower Intelligence (WPI) database of global projects, which tracks the stages of development at more than 10,000 announced wind farms (>5MW) in 115 countries. 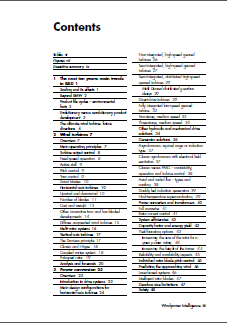 It also feeds on independent research carried out by a global team of experts. For the purposes of this report, we only took account of projects that are currently ‘in progress’, meaning that they are not yet in operation, nor have they been put on hold or cancelled. 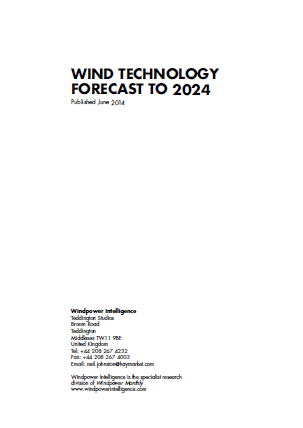 Our forecast of future installed wind capacity is drawn from the WPI Global Forecast. This is a monthly forecast report that provides up-to-date country forecasts based on ongoing research alongside collection and verification of pipeline data. 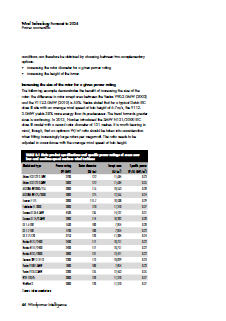 As well as producing forecasts of installed capacity, this report also attempts to estimate market values for turbine components and market shares for suppliers and developers. We estimate the overall cost of turbines in China to be markedly lower than elsewhere. Wind farm developers’ market shares are calculated based on the information contained in the WPI Tracker.